Paramount’s second look offers a surprising twist into the Creed’s spiraling descent of sadness and despair. 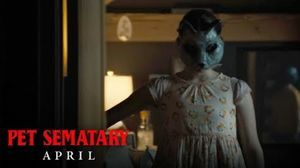 — While much of the second trailer sow the seeds of familiarity as the first - including shots of Sematary's sinister burial ground accompanied by the voice of the Creed’s neighborly historian Jud Crandall (John Lithgow) "Your child is not the only thing that will come back" - the second look reveals an entirely new fate for Louis and Rachel Creed’s oldest child, Ellie (Jete Laurence). I’m going to twist your back like mine so you never get out of bed again! 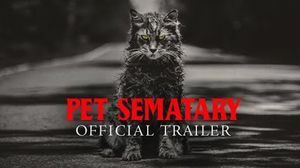 — It’s been awhile since we last checked in on Dennis Widmyer and Kevin Kolsch’s adaptation of Pet Sematary!